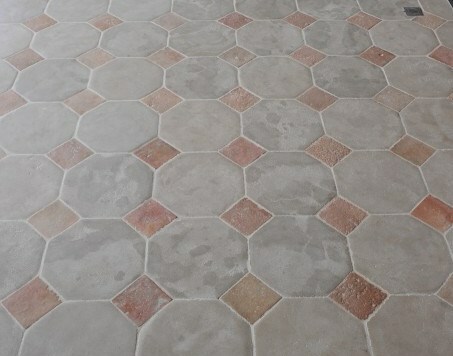 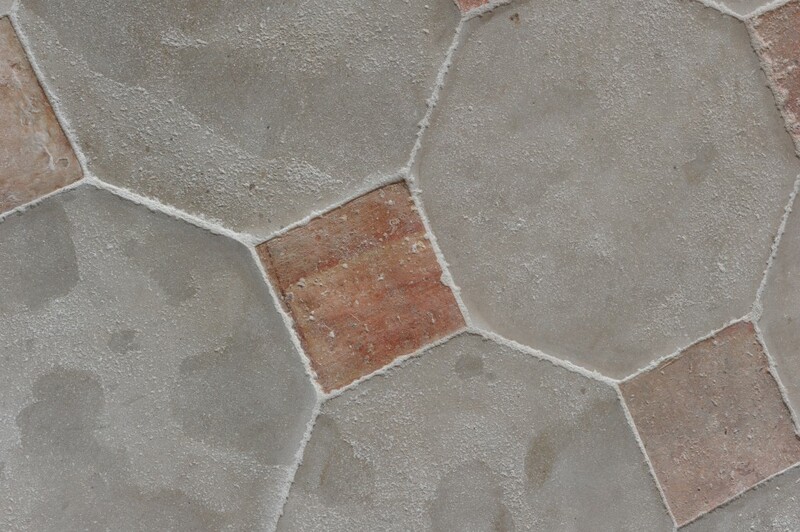 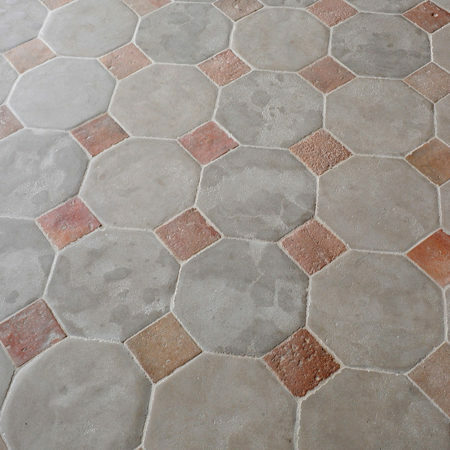 Limestone octagon flooring with terra-cotta cabochons. 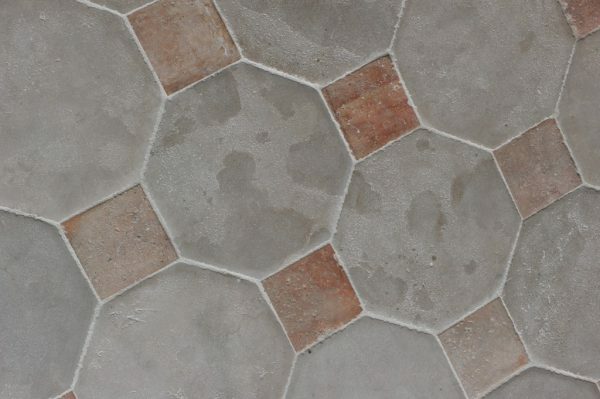 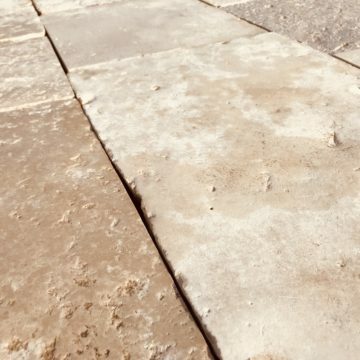 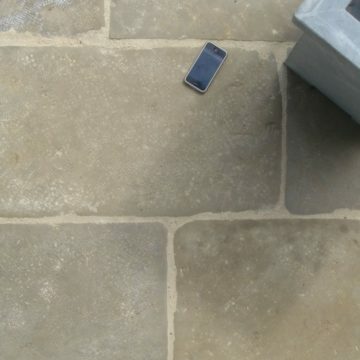 We prepare this natural limestone flooring cutting to octagonal format, then giving it a lightly aged patina to the upper surface and edges in order to closely replicate historic centuries-old floors, particularly from the 18th century. 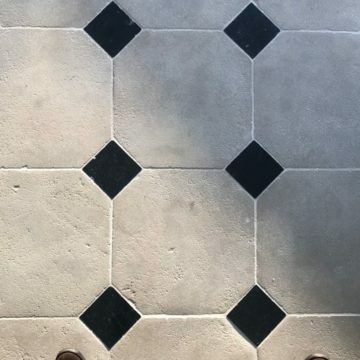 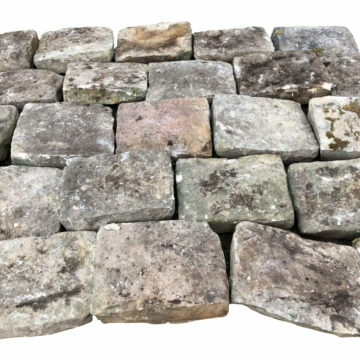 Using our reclaimed antique French terracotta squares for the “cabochon” corners is a variation on the classic blue-black corner squares of our refs 01147 “Patrimoine” and 01012 “Cathédrale”.